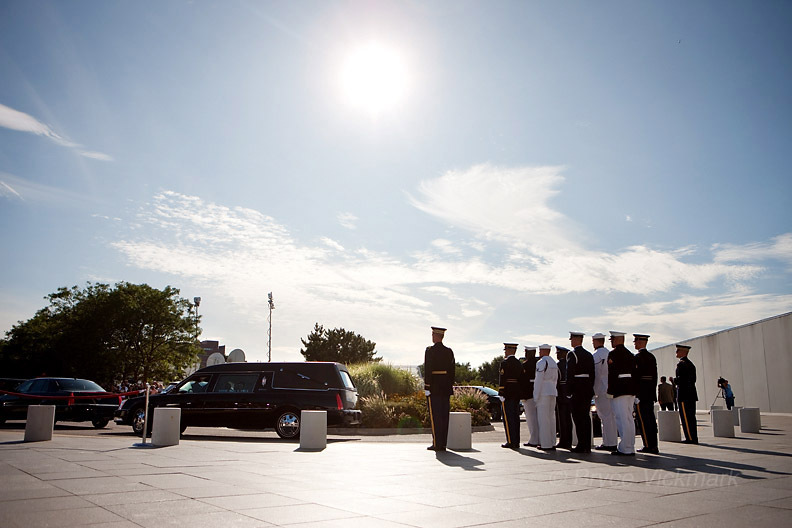 I had the honor of photographing the arrival and viewing of Edward M. Kennedy’s casket at the John F. Kennedy Presidential Library in Boston. 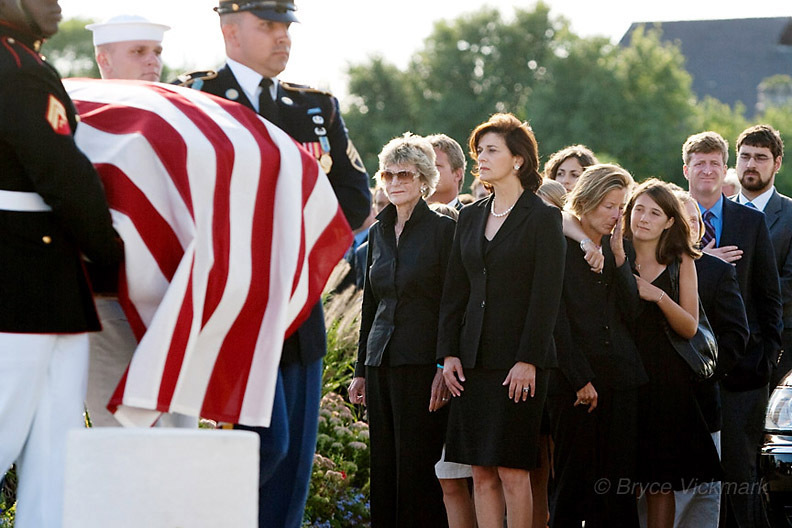 The senior Senator from Massachusetts died on 8/25/09 at the Kennedy compound in Hyannis after losing his battle with brain cancer. Kennedy’s body laid in repose at the library until his funeral mass on Saturday at The Basilica of Our Lady of Perpetual Help in Boston’s Mission Hill section. 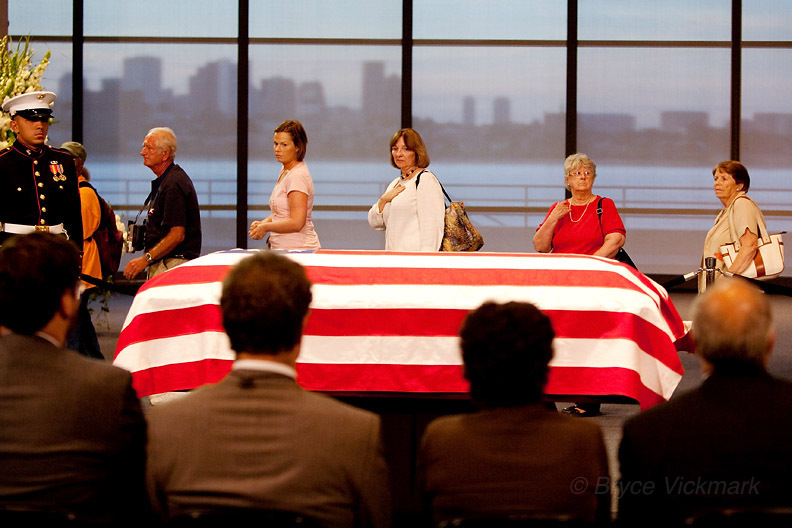 From left, Joan Kennedy Smith, Vicki Kennedy, Kara Kennedy, Grace Kennedy Allen and Patrick Kennedy look on as the casket of family member Senator Ted Kennedy arrives at the JFK Library in Dorchester. Caroline Kennedy greets mourners as they wait in line to pay their respects to the late Senator Ted Kennedy. A member of the Boy Scout Troop 42 Honor Guard of Quincy, MA helps keep the massive line of well wishers moving smoothly. More than 25,000 people came to pay their respects Thursday evening alone.